NAGOYA - Roasted sweet potatoes, anyone? 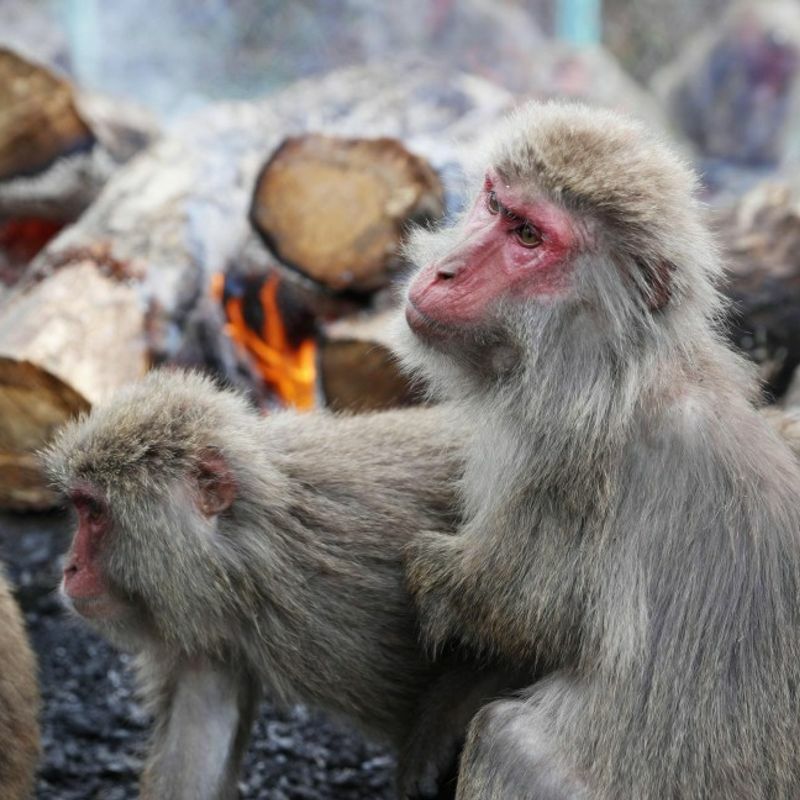 Zookeepers lit a bonfire for the Yakushima macaques at the Japan Monkey Center earlier this week, ahead of the official start of an annual ritual on Saturday, this year's winter solstice. 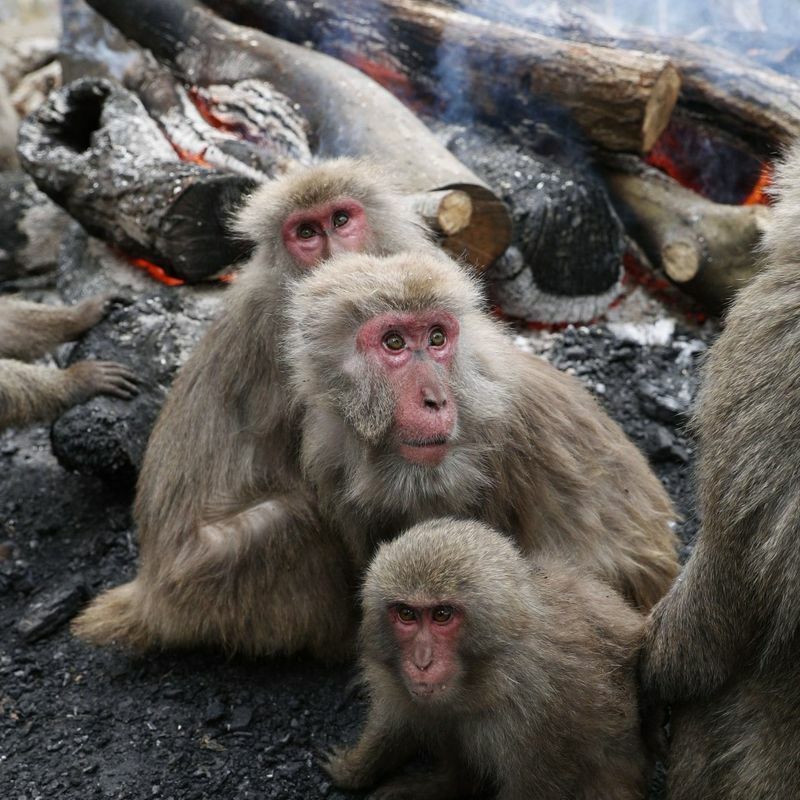 The group of about 160 macaques huddled around the open fire, with some turning their bellies toward the flames while others held out their hands to enjoy the warmth. When zookeepers distributed sweet potatoes roasted in the bonfire, the monkeys happily gobbled up the baked treat. 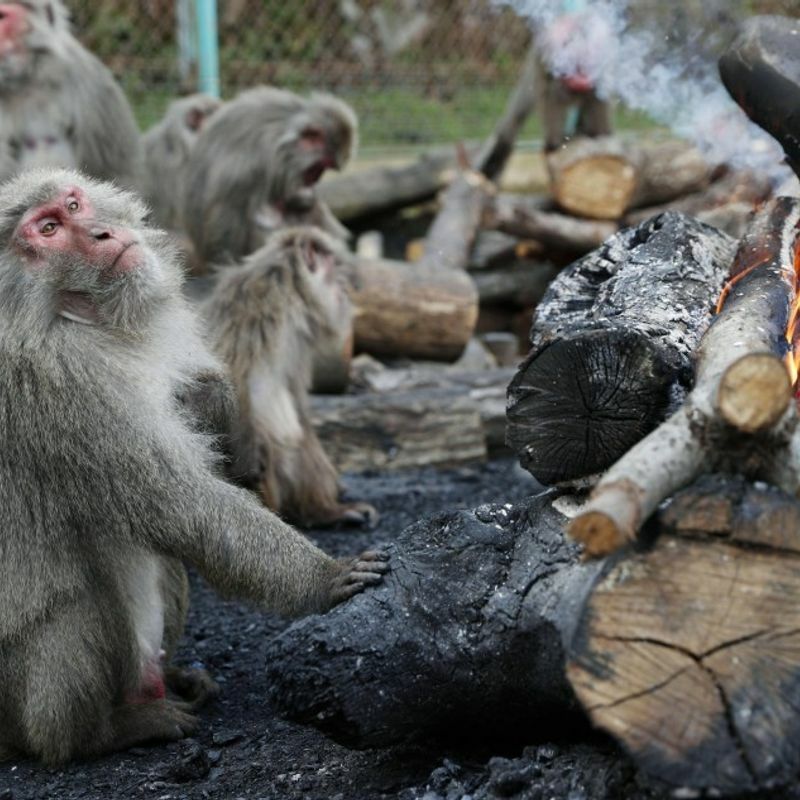 The tradition of lighting a bonfire for the Japanese monkeys at the zoo in Inuyama, Aichi Prefecture, began in 1959, after macaques were observed gathering around the fire when staff members burned fallen trees following a massive typhoon. "I hope they'll stay healthy through the cold winter with the warmth from this bonfire," said zookeeper Masaya Yamada. The monkeys are a subspecies of Japanese macaques and are native to Yakushima Island in Kagoshima Prefecture, a UNESCO World Heritage site. 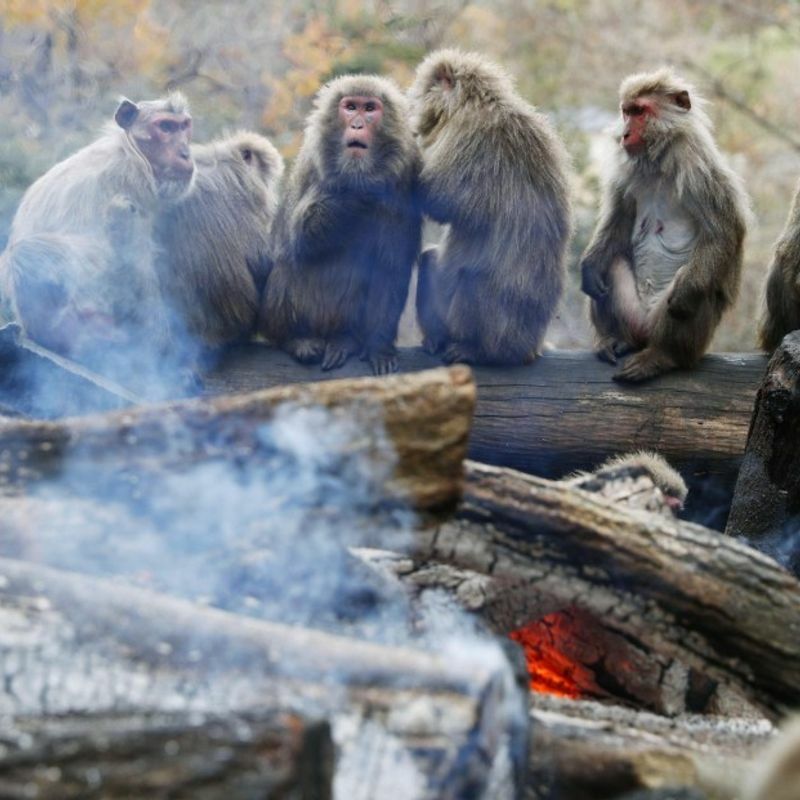 Visitors will be able to observe the monkeys keeping warm and munching on their treats from the bonfire on weekends and holidays from Dec. 22 through late February.